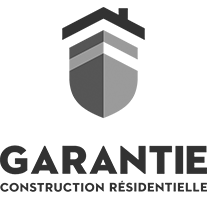 Driven by the goal of offering its clientele eco-responsible and innovative properties, Construction Voyer makes a point of making every effort to provide intelligent, durable, and environmentally respectful construction services. A leader in the eco-energy construction field, Construction Voyer was the first builder to participate in the Maisons R-2000 program, as well as being the general contractor with the most Novoclimat buildings in Quebec. The year 2015 marks a new era for sustainable development in the construction field as well as a decisive step for Construction Voyer. The company is the only builder in Quebec to be selected for the new national demonstration of net zero energy consumption project. What is a net zero energy consumption home? Net zero homes produce at least as much energy as they consume. Which means: less electricity to pay for, more savings, and a real difference to the environment. How? 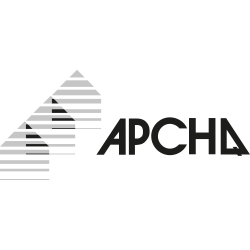 The choice of materials provides superior insulation and waterproofing, as well as photovoltaic solar panels on the roof, are just a couple of examples of applications that allow for more efficient energy management. How is Construction Voyer involved in this project? 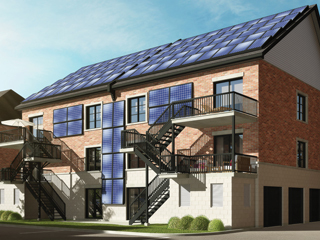 The company will build six net zero energy consumption properties for its residential project Val-Des- Ruisseaux Condos in Laval in the Duvernay East sector, near Rivière des Prairies and the new A25 bridge. Construction of these high performance homes should be completed by winter 2015-2016. Sales for these properties will start in summer 2015. I would like to know more about your net zero consumption condos. 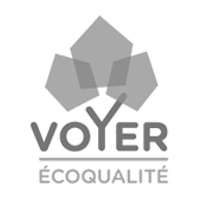 Construction Voyer is proud to be collaborating with Quebec organization CO2 Environnement on all its real estate projects. This means that any time you purchase a condo by Construction Voyer, the company will compensate the equivalent of a year’s worth of greenhouse gas emissions with the purchase of carbon credits. In other words, we guarantee that trees will be planted and forests restored in order to minimize our ecological footprint and ensure sustainable living spaces that respect the environment. 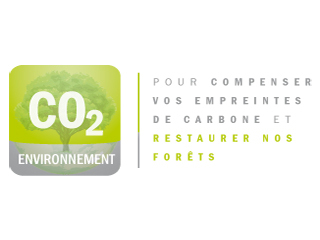 To highlight this eco-responsible choice and thank our customers, all new owners will receive a CO2 Environment certificate! 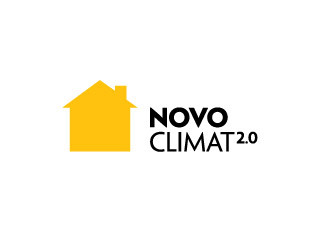 While each family home built by Voyer respects Novoclimat 1.0 norms, the company offers optional Novoclimat 2.0 certification, encouraging the construction of new, high energy performance homes, according to the specific and superior construction requirements of the Novoclimat 2.0 program. 10% remittance on insurance premium.